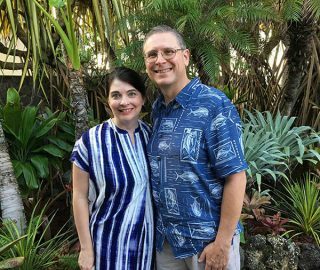 OPPD engineer Ron Stohlmann likes bowling, reading Tom Clancy novels and spending time with his wife. He likes football, too. But he watches the game differently than most. Stohlmann is a referee. Please, hold the eyesight jokes. He’s already heard them. 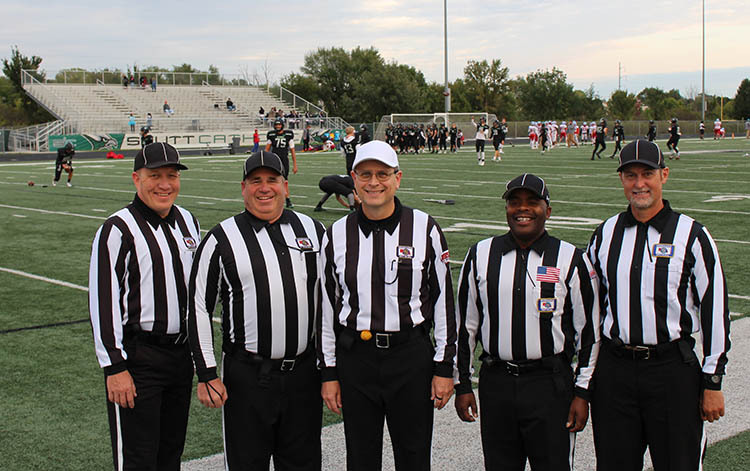 Every Friday night, Stohlmann dons the zebra-colored pinstripes and brings law and order to Omaha metro-area high school sidelines. He serves as judge and jury, penalizing players lined up in the neutral zone and throwing flags at flagrant infractions, all in the name of fair play. It’s Stohlmann’s way of giving back to the community. The interest in refereeing dates back to his days as a player growing up in Murdock, Neb., where he first learned to play – and love – the game of football. 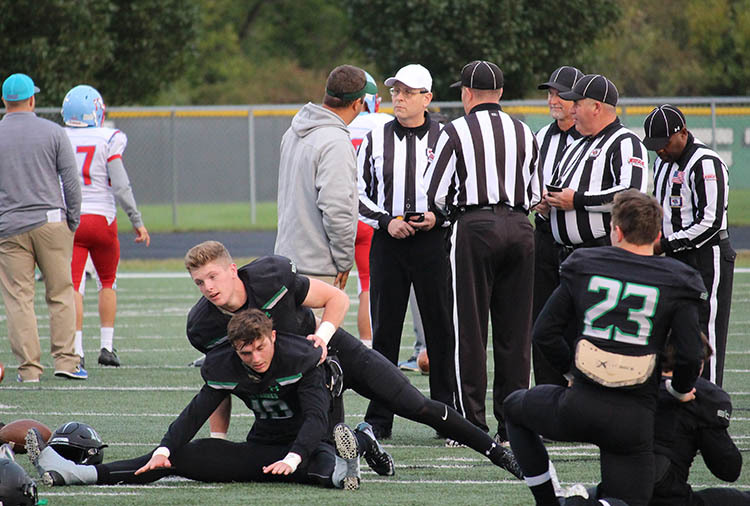 Even then as a running back and defensive back on his school’s eight-man team, Stohlmann knew he wanted to be a referee. Stohlmann also knew at an early age he wanted to be an engineer. It seemed like a career path that fit his skills. Stohlmann, who manages the design engineering department, mostly works on capital upgrades to OPPD’s fossil plants. He will be back on the family farm this fall helping with one last harvest. After that, his father, Ervin, will retire. Stohlmann headed south for college. Mentor Bernie Dill, an aerospace engineer, gave young Stohlmann career advice about engineering and steered him towards his alma mater, Texas A&M, which has an outstanding engineering program. Stohlmann took Dill’s advice and packed up and headed south. He spent the next five years in Texas. He enjoyed the state and Texas A&M, and was indoctrinated into a Texas high school tradition – Friday night lights. Nebraskans are rabid for their Cornhuskers but in Texas, high school football is sacred. Stohlmann’s officiating career started at A&M where he refereed intramural games before becoming a registered high school official. 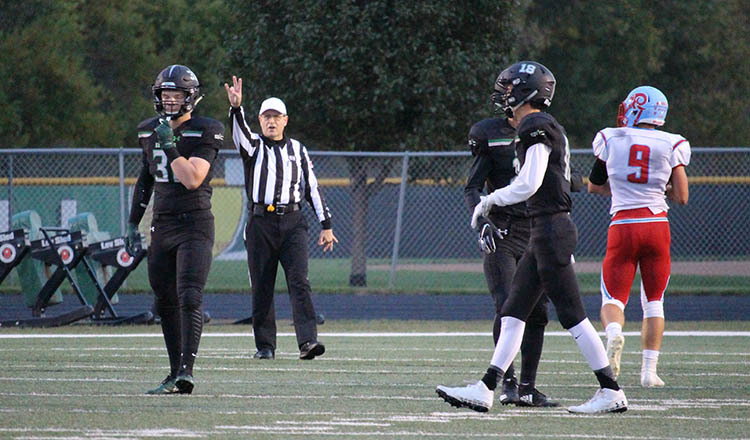 Stohlmann started spending his Friday nights patrolling high school sidelines armed with a yellow penalty flag and a whistle. While Stohlmann enjoyed the farm life, he chose a different path. Upon returning to Nebraska after college, Stohlmann farmed for a year with his dad before taking a job as a consultant with Applied Power Associates in Omaha. 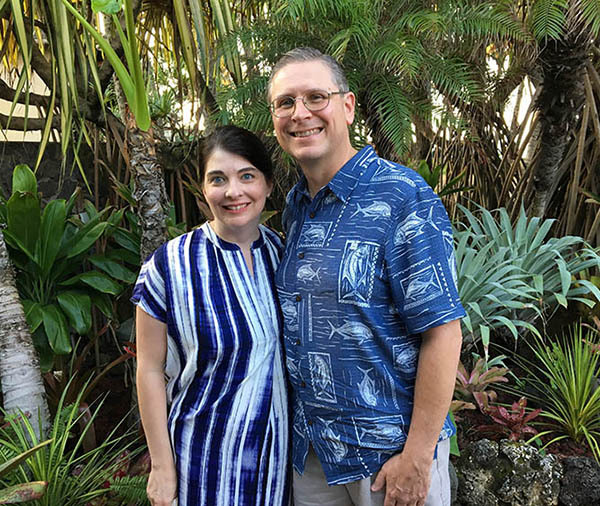 Stohlmann and his wife, Stacy. Back in Nebraska with his wife, Stacy, Stohlmann continued working high school games. In 2004 he began officiating NAIA college football games in the Great Plains Athletic Conference ending in 2010. Now he only officiates high school football. In 2003, he joined OPPD as a senior production operations engineer until becoming the lead mechanical/civil engineer in 2011. Stohlmann has managed a number of big projects at OPPD’s generating stations. Among the highlights were the Nebraska City Station (NCS) coal feeder replacement, the reheater replacement at NCS Unit 1, the North Omaha Station (NOS) flue gas conditioning system, and the dry sorbent and activated carbon injection systems at both NCS unit 1 and NOS units 4 and 5. Stohlmann said it is satisfying to know that he helps keep OPPD’s generating stations running smoothly. 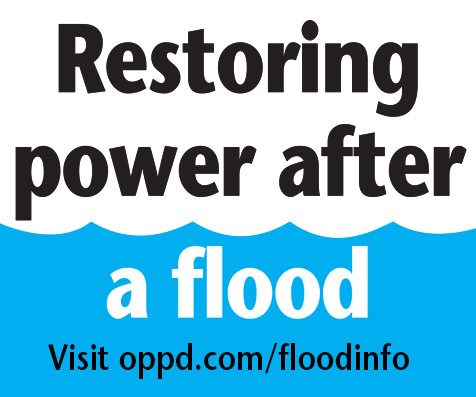 When the plants are running well, OPPD can produce reliable and affordable energy.